If you want to get started in DIY Fabrication, then this is your opportunity. 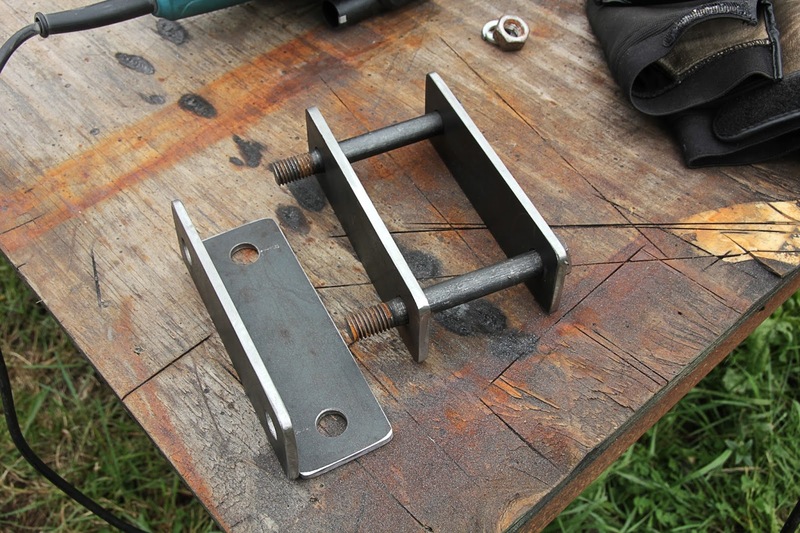 While fabrication can be difficult, making your own Leaf Spring "Shackles" is a great way to get accustomed to, and practice, some of the more important skills that fabrication requires. In this episode, I go over what you will need, and a step by step process of how I created these shackles. Fabricating shackles, and designing your own custom length shackles, are two different things. Because of this, this particular episode is more focused on making a set of shackles that copy measurements of other preexisting shackles. For instance, you can follow these steps if you would like make some shackles that are the same length, as other shackles that you have seen on other vehicles, or on line. I would like to make a brief note on the purchase of an Angle-Grinder. One of, if not the, most used tools for any king of fabrication is an Angle-Grinder. So, even is the cost of the Angle-Grinder and accessories/disks make your Shackle project more expensive than buying a set, think about it as making your next project cheaper. In the 4 years that I've been working on Off-road Vehicles, I can't remember a project in which I didn't use an Angle Grinder. Come to think of it, I've worn out 2 Angle-Grinders completely, and I'm now on my 3rd. So, you will be best served by buying an Angle-Grinder now, for this project, and considering it as an investment in future projects. Buying a good quality Angle-Grinder will save you money and headaches in the future as well.